See attached flyer for details. It was good last year, and the year before and ... - so we aren't changing anything much. The Special General Meeting at 5.45 is to approve capping the number of committee members - as the rules currently stand the number is unlimited. 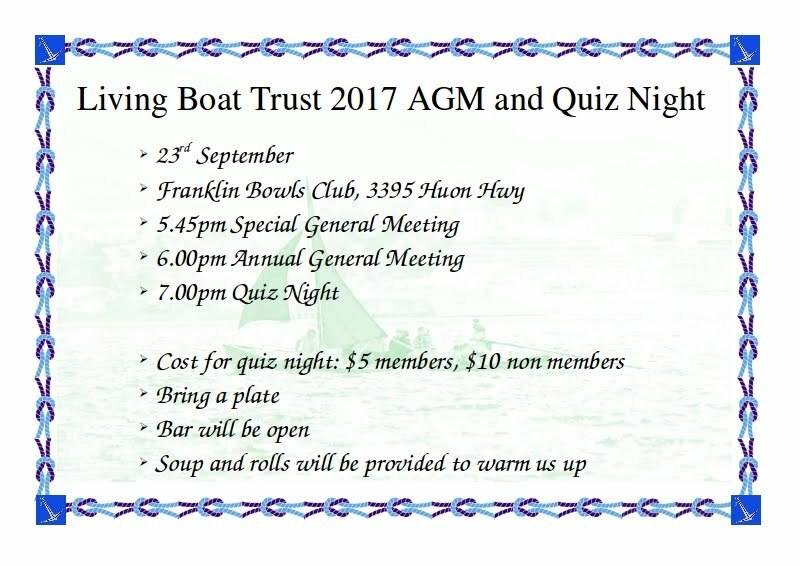 For more details see the SGM and AGM agendas and other supporting documents at http://bit.ly/2x2037m. During the AGM we will appoint a new committee: PLEASE CONSIDER NOMINATING, using the form at http://bit.ly/2x2037m, The LBT is in good health, and no poisoned chalices await new committee members: rather, goblets of ambrosia.